Description: James engle custom 2 story home on private cul-de-sac lot! This home is amazing in every way! No need to build when you can buy over 4200 sq ft at this price! So much new incl: carpet, granite, fixtures, landscape & more. Huge boot bench area off garage. Hidden office area behind kitchen. Open plan w/formal liv & din rooms. 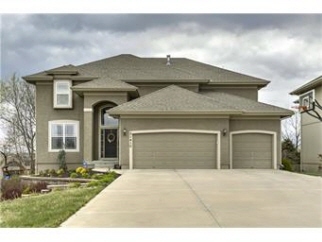 Amazing kit w/granite, stainless appliances, island, w-in pantry & hardwoods. Fin walk-out bsmt w/wet bar, 5th bed, bath & rec rm. Giant mstr w/granite sinks, tile bath & huge walk-in. Must see!